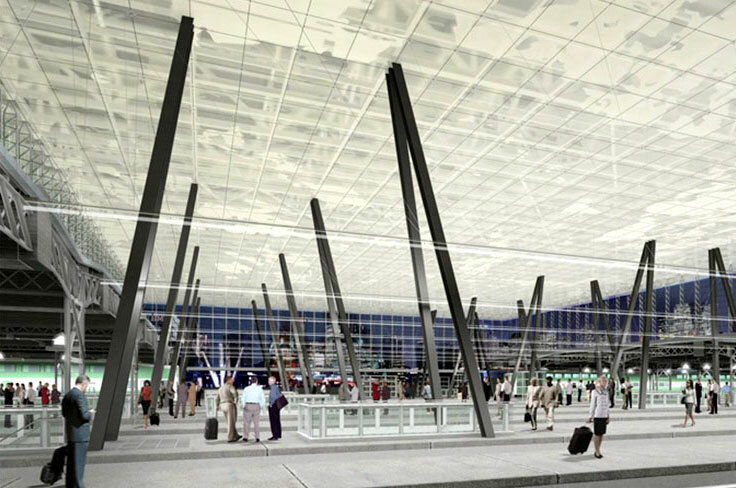 Union Station Redevelopment - Walters Group Inc. 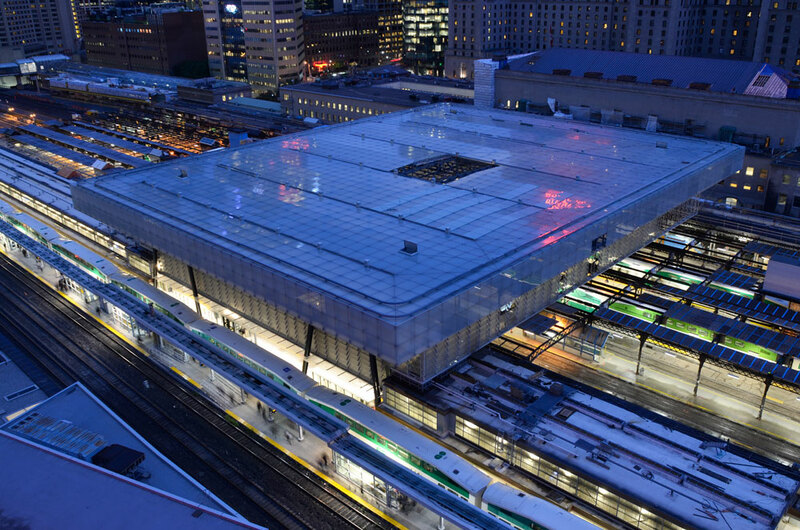 The revitalization of Union Station has modernized the original structure and is a world-class example of design and engineering. 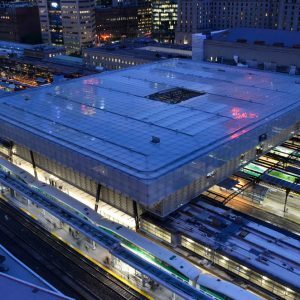 The most spectacular component is a massive 70,000-square-foot atrium of steel and glass 50 feet high that spans over the train platforms and renovated train shed. 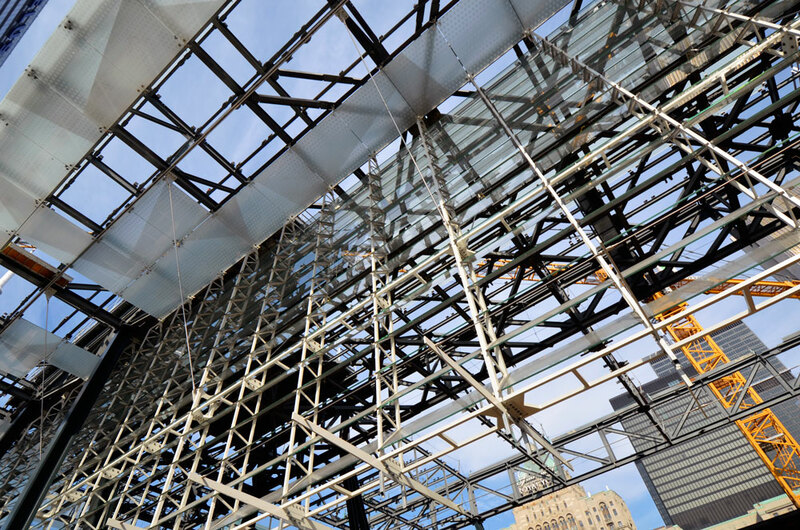 Working in partnership with a glass and glazing company, Walters Inc. provided Design Assist services, as well as fabrication and erection of a new steel-and glass atrium above the renovated 1929 heritage train shed. 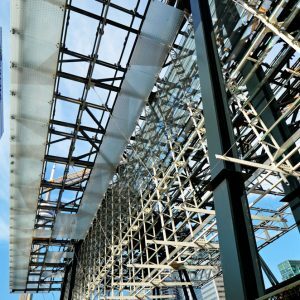 We also repaired existing steel on site. 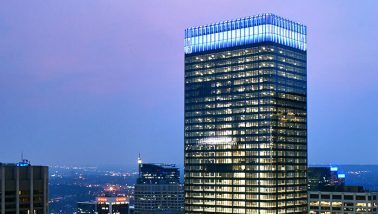 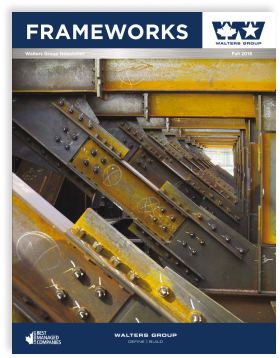 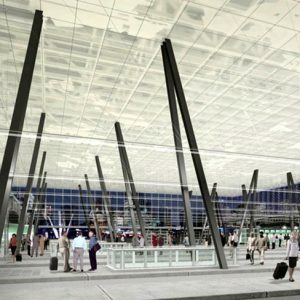 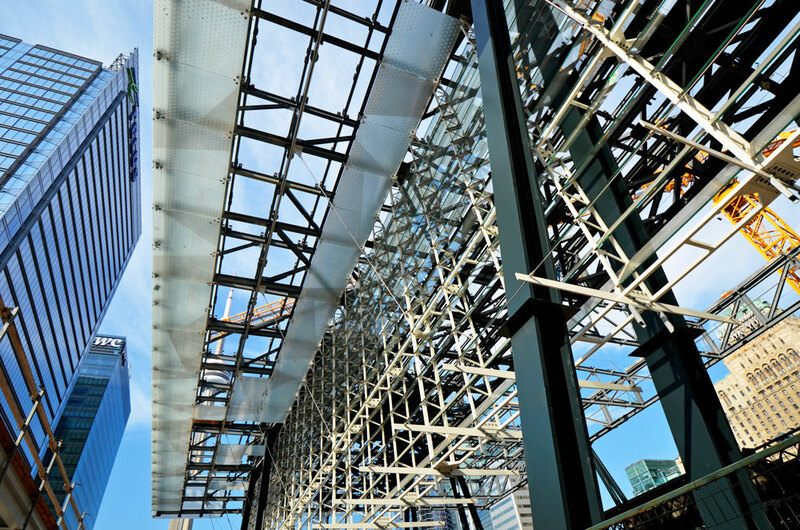 Walters Inc. invested heavily in design and planning stages to ensure the interface between steel and glass would accommodate design tolerances. 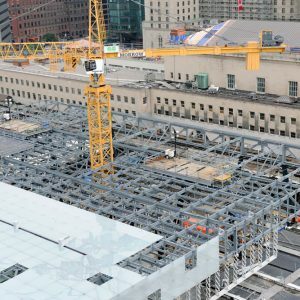 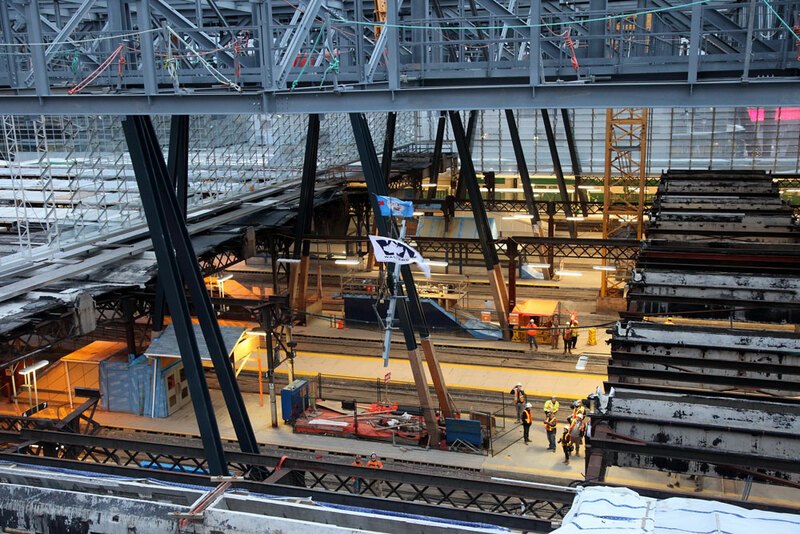 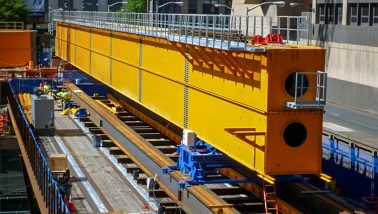 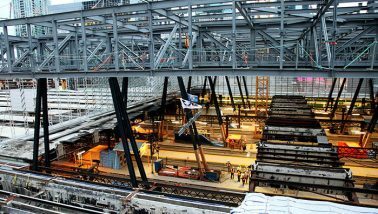 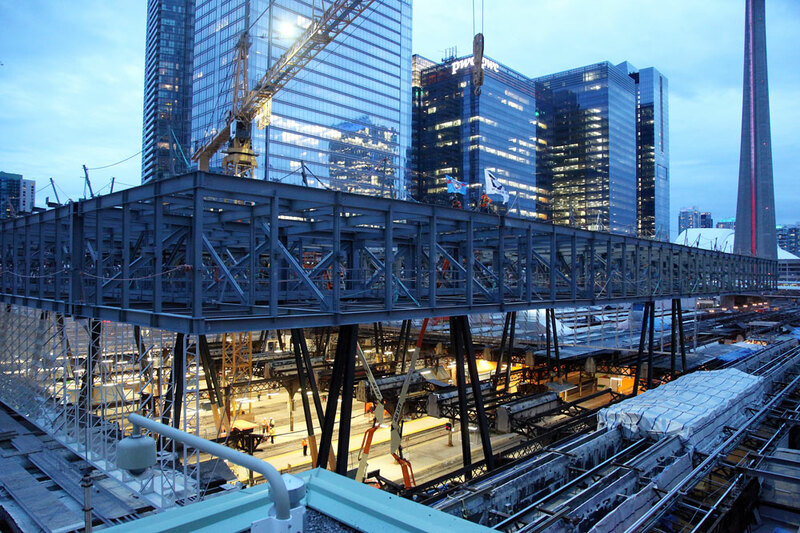 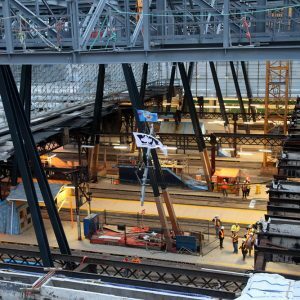 It was imperative for construction to proceed swiftly and efficiently, as all work took place over top of a continuously operating train station. 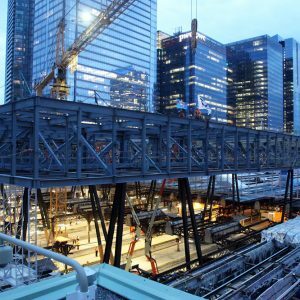 Walters Inc. planned the project in strategic phases that allowed work to proceed on time, without disruption to operations. 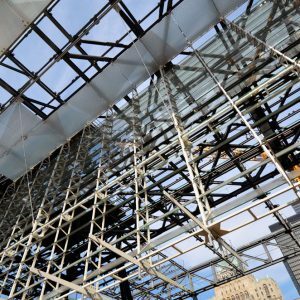 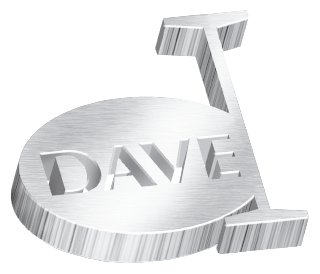 As the structure is exposed, we had to use exacting care when triple coating steel to ensure a final product completely free of blemish or irregularity. 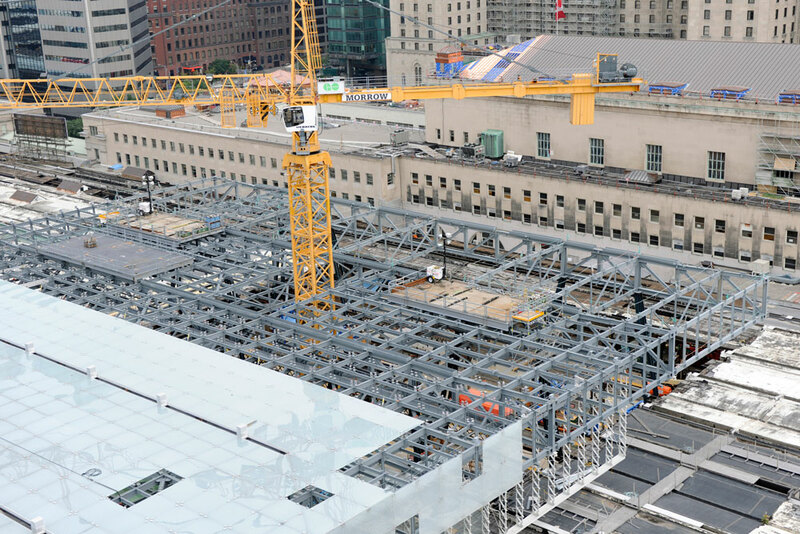 The massive atrium roof is supported by sloped columns, which demanded extremely precise design and build phases so as to meet both aesthetic and structural requirements.